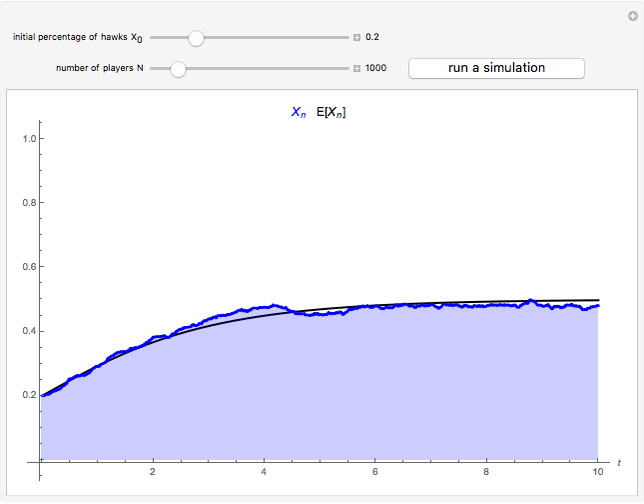 The figure shows the actual (in blue) and expected (in black) proportion of Hawks in a population of individuals who, at each iteration (of time length ), are randomly matched in pairs to play a symmetric Hawk–Dove game (also called snowdrift or chicken). The payoffs in this game are: a Hawk meeting a Dove gets the highest payoff (3), but if he meets another Hawk they both get the lowest payoff (0). A Dove meeting a Hawk gets 1, and when two Doves meet they both get 2. 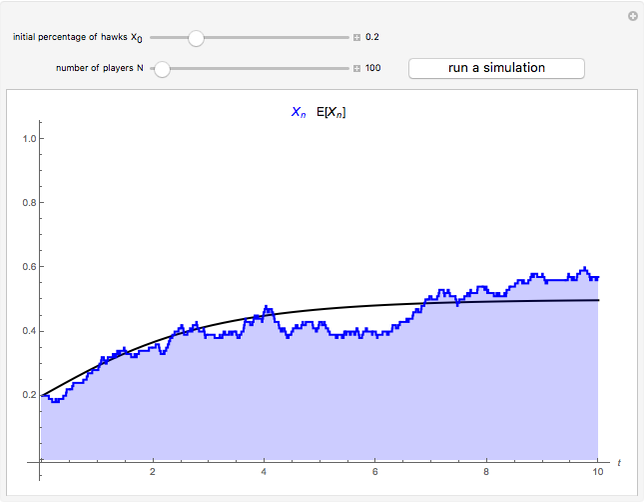 At the end of each iteration, after all individuals have played the game, one randomly selected player revises her strategy—Hawk or Dove—according to the following rule: "I look at another (randomly selected) individual; if and only if she got a payoff higher than mine, I adopt her strategy". 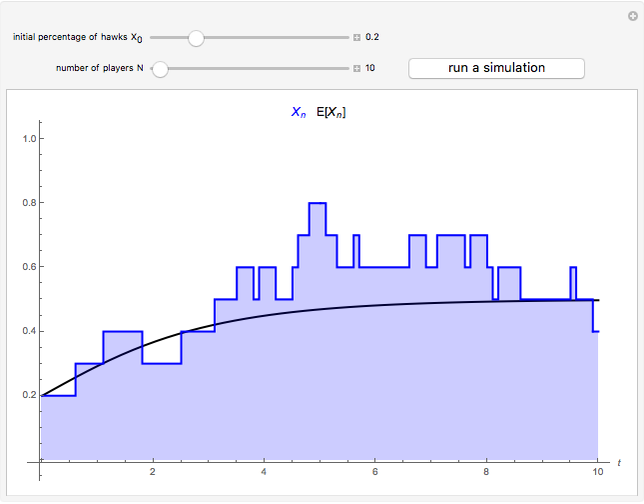 Segismundo S. Izquierdo "Expected Dynamics of an Imitation Model in the Hawk-Dove Game"